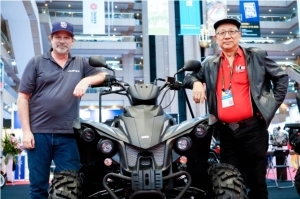 Taiwan's Automotive Research & Testing Center (ARTC) recently announced its selection as the first overseas institute approved by the Union Technique de I'Automobile du motorcycle et du Cycle (UTAC) of France to provide electro-magnetic compatibility (EMC) certification services for assembled vehicles and auto parts. The approval is expected to help Taiwan expand exports of high-level automotive electronics and electric vehicle (EV) products. With UTAC's approval, ARTC can now directly provide on-site e2 certification for items made by local or regional makers for exports to Europe, saving time and cost for makers. ARTC signed a cooperation memorandum of understanding (MOU) with UTAC in 2012 during the Taiwan-France Industrial Cooperation Consultation Meeting (ICCM) to strengthen bilateral exchanges in EV and new R&D developments. Over the past two years, ARTC says, UTAC has been learning more about the Taiwanese automotive center's capabilities and strengths and finally confirmed ARTC's technical capacity with the EMC certification partnership. The UTAC-ARTC tie-up focuses on providing ECE R10 EMC certification services for vehicle products. 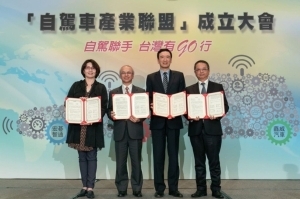 The partnership will be a boon for Taiwanese makers of different automotive-electronics parts such as infotainment systems, tire pressure monitoring systems (TPMS), chargers, electric motors, navigation systems, and LED lamps. All the mentioned auto parts and systems can be directly tested and inspected at ARTC's EMC lab for e2 (French) E/e Mark approval. Through partnerships with other similar organizations in Europe, ARTC now is able to provide E1, E2/e2, E4/e4, E9/e9, and E24/e24 certification services. ARTC is working to upgrade the transportation vehicle industry in Taiwan through various initiatives. 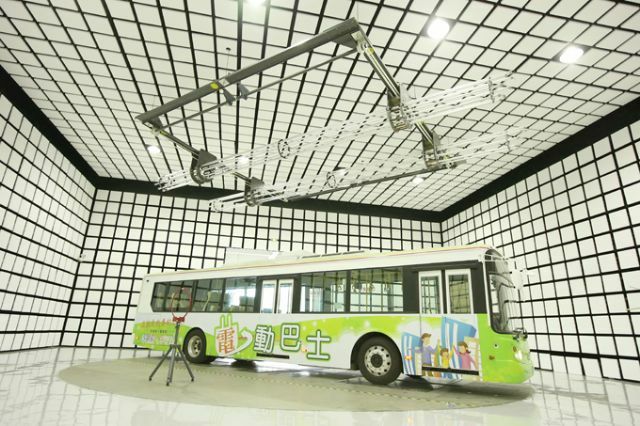 Realizing that automotive electronics and vehicle electrification were inevitable trends, the center poured considerable resources into setting up a comprehensive vehicle EMC test platform, which it claims to be at the forefront of such facilities in Asia, in 2013. 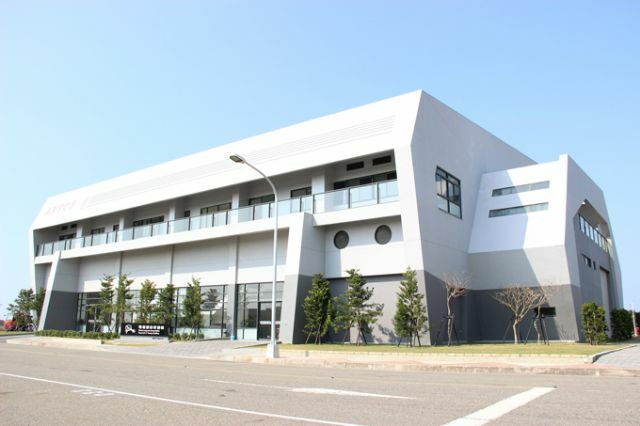 The cutting-edge platform is located at the center's campus at the Changhua Coastal Industrial Park in central Taiwan. 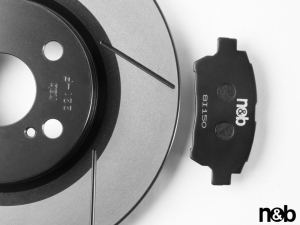 ARTC claims that the testing platform can provide the most comprehensive EMC tests for different national regulations, international standards, and requirements of global automakers. Components, systems, assembled cars and even trucks and buses can be tested and verified by the platform. ARTC President Joy Huang points out that the new testing center has been approved by a number of international certification bodies and provides a full-range of testing services to help local companies tap into the supply chains of global tier-one companies and international automakers. He also stresses that the testing center is an ideal resource for local information and communication technology (ICT) companies seeking to tap automotive-related businesses. The plethora of electronic systems in modern vehicles has raised attention to the problem of electromagnetic interference (EMI) among different on-board electronic devices, from GPS and telematics systems to infotainment devices. The low-frequency electromagnetic effects generated from high-voltage power modules are also increasingly affecting the normal operation and functions of different automotive-electronic systems. Without sophisticated EMC designs, vehicles could be at risk to any number of electromagnetic related problems, from malfunctioning in-car infotainment systems and wiper systems to abnormal displays on instrument clusters and, more worryingly, sudden engine turn off, brake-system seizure, or unexpected acceleration, the center says. As a result, the demand for vehicle-related EMC tests has rapidly soared and become one of the most important categories in safety design, Huang says. Related authorities, organizations, and research institutes have been strengthening their EMC-testing capability and research to further assure vehicle safety. 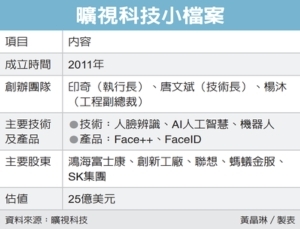 According to ARTC, automotive electronics will be one of Taiwan's rapid-growth star industries in the future. 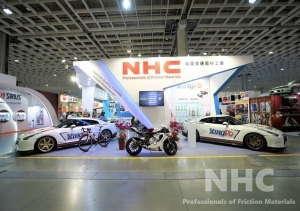 The value of the island's overall automotive-electronics production rose from NT$56 billion (US$1.87 billion) in 2006 to some NT$100 billion (US$3.3 billion) in 2010 and NT$109.2 billion (US$3.6 billion) in 2012; and the figure is expected to reach NT$300 billion (US$10 billion) in 2015. 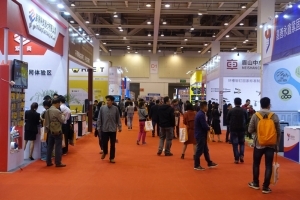 As the automotive-electronics market grows, it has attracted nearly every major automaker and parts supplier, including a group of world-class ICT makers based in Taiwan, the center stresses. With support from the Technology Development Programs (TDPs) subsidized by the Ministry of Economic Affairs (MOEA), ARTC in 2003 began providing EMC tests, fault probing and improvement services for assembled powered two-wheelers (PTWs) and vehicle components. 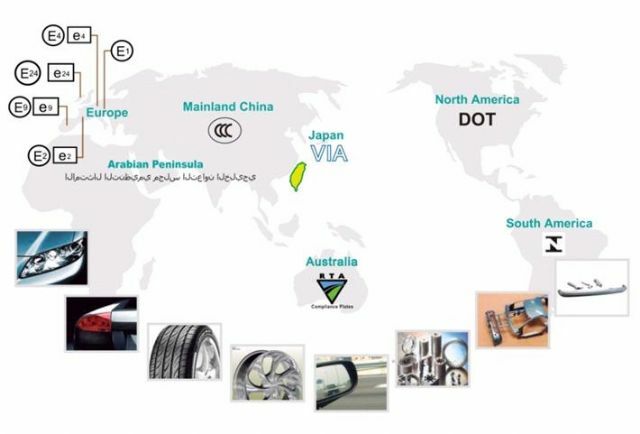 The center's EMC testing services have been licensed by the Ministry of Transportation and Communications (MOTC) as well as international certification bodies such as TAF, TUV, IDIDA, A2LA and Big Three American automakers (GM, Ford and Chrysler). In the past few years, ARTC has provided EMC services to more than 400 corporations in Australia, South Korea, Thailand, China, Singapore, Malaysia, Brazil and other countries, with an average annual case load of 450. ARTC's testing capability has won numerous confirmations. 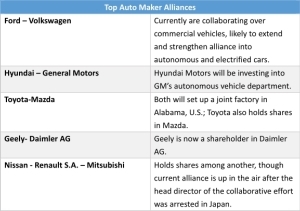 The center's test results have been accepted by not only the American Big Three, but also international automakers such as Volvo, BMW, Mercedes-Benz, Mitsubishi, and PSA Group. With such capability, ARTC has helped a number of auto-parts suppliers to tap into the supply chains of international automakers. When planning the EMC platform, ARTC drew on the experience and know-how of eight major EMC labs worldwide. It created several advanced facilities with enough space to accommodate testing of vehicles ranging in sizes up to large buses. 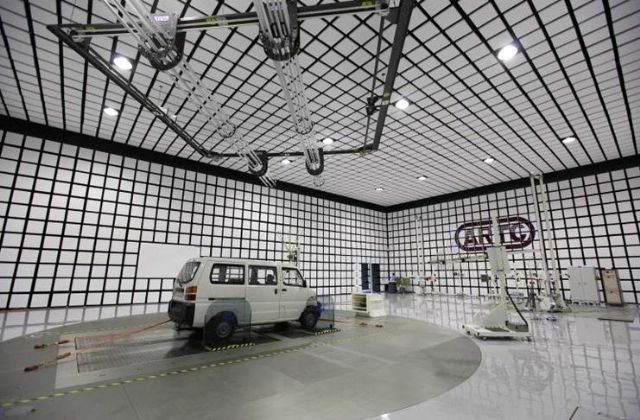 Anechoic chambers, shielding rooms, transient rooms, and high-voltage power module testing zones are among the advanced facilities provided. 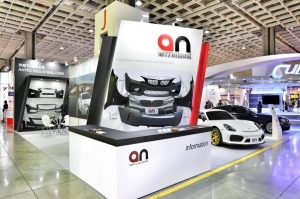 The platform is also integrated with other facilities and capability at the ARTC campus to create an intelligent, energy-saving, environmentally sound, and safe multifunctional vehicle testing platform that can help local producers of vehicle and parts gain a competitive edge in global markets. In the past, domestic companies had to send their products to foreign labs for EMC tests at prohibitive cost. Such procedures and the complex documentation involved, often delayed R&D work and inflated costs. For example, the development of a newly assembled vehicle needs to go through at least two or three sets of comprehensive EMC tests, and each on-site test takes about one week. Shipment and customs clearance further delay the process, with the result that three to four months can be required for a foreign lab test to be completed. Through cross-licensing with international partners, ARTC now can locally certify different products and bring cost-savings to producers in Taiwan. (Photo from ARTC). 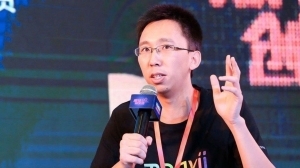 ARTC says that the new EMC test platform can help cut R&D time and costs and give the local industry a new advantage in vertical integration. ARTC notes that electronic systems used in vehicles need to have a product life of at least 10 to 20 years and also be able to function in challenging environments with high vibration, temperature differences, power interference, and other factors. As a result, producers in this segment face completely different requirements than those in sectors with much shorter product lives and friendlier operating environments. Since vehicles are safety-critical, each part needs to undergo strict testing and certification processes to assure the highest reliability. 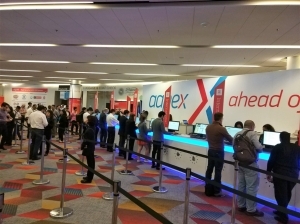 ARTC says that many ICT companies are eyeing the high-margin and more stable automotive-electronics market to expand their business, especially in EV-related fields where there are far fewer competitors than in the traditional automotive sector. With the EMC test platform, ARTC says, local companies have gained a reliable and trustworthy partner to help them promote their quality, innovative and safe products in the global market. 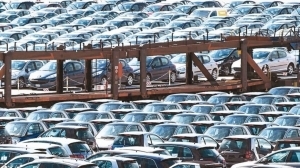 Due to limited domestic market, Taiwan's auto-parts industry has traditionally been export-oriented. At the same time, safety and reliability requirements are getting stricter worldwide, increasing producer costs. 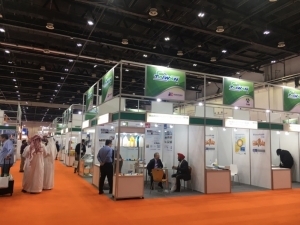 To lighten the burden on local parts makers and upgrade their international competitiveness, ARTC has been forming cooperation ties and cross-licensing agreements with foreign partners. The center helps local makers obtain about 800 approvals per year, making a big contribution to the local transportation vehicle industry.